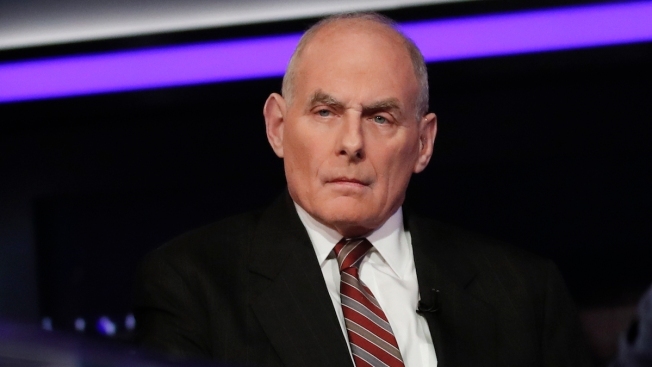 The president's chief of staff also said most people coming into the country illegally "are not bad people" but "don't integrate well"
In this Wednesday, Jan. 17, 2018 file photo, White House Chief of Staff John Kelly appears on Fox News in Washington. White House chief of staff John Kelly said President Donald Trump is "somewhat embarrassed" by the special counsel's investigation into Russian meddling in the 2016 election. Kelly told National Public Radio in an interview that aired Friday the probe "may not be a cloud" over the White House, but it gets discussed. Said Kelly: "When world leaders come in, it's kind of like, you know, Bibi Netanyahu is here ... who's under investigation himself, and it's like, you know, you walk in, and you know, the first couple of minutes of every conversation might revolve around that kind of thing." Kelly also spoke about the Trump administration's efforts to fight illegal immigration. He said most people coming into the country illegally "are not bad people," but said they won't assimilate easily. White House chief of staff John Kelly made some controversial comments about the Civil War during a recent interview with Fox News. "They're overwhelmingly rural people. In the countries they come from, fourth-, fifth-, sixth-grade educations are kind of the norm," Kelly said. "They don't speak English; obviously that's a big thing. ... They don't integrate well; they don't have skills." While Kelly's role in the administration appears to have diminished of late, he told NPR that he has a close relationship with Trump and said he has never considered leaving the White House. "There's times of great frustration, mostly because of the stories I read about myself or others that I think the world of, which is just about everybody who works at the complex, and wonder whether it's worth it to be subjected to that," he said. He also said he wished he had been in his role sooner: "I think in some cases in terms of staffing or serving the president that first six months was pretty chaotic and there were people some people hired that maybe shouldn't have."